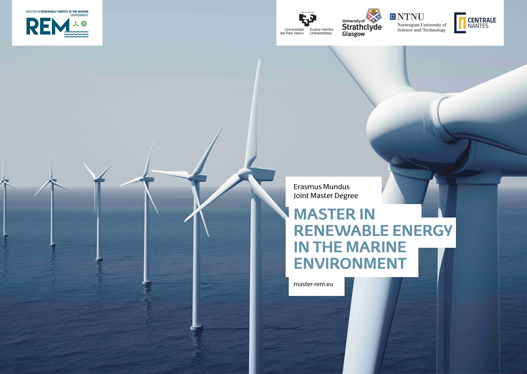 Offers knowledge and expertise in areas such as modelling and analysis of floating structures, mooring systems, electric transmission, materials, resource or environmental impact assessment, focusing on the deployment of cost effective marine energy farms throughout their life cycle. TECNALIA has accumulated extensive experience in the development of devices for harnessing wave energy and offshore wind. Is a world-class interdisciplinary research center on Applied Mathematics. The center started operations in 2008 and is located in the Basque Country (Spain). It is able to count on a solid network of international collaborators, promoting mobility and exchange of researchers, pre and posdoctoral training tasks and the organization of dissemination events and knowledge transfer. Is a joint research center that carries out research, knowledge transfer and training of specialists in the fields of fresh and saltwater. This work has allowed IH Cantabria to be at the forefront of national and international organizations working in the water cycle in its various facets. At IH Cantabria there are over 140 researchers and the center has over thirty years of experience. It was the first Spanish company to test its own 1:4 WEC prototype in the marine environment. The complete R&D and testing process provided with both experience and knowledge in the development of wave energy converters. Technicians and engineers work in conjunction with technology developers, services, investors and promoters, supporting projects through all stages. It offers a large range of professional marine engineering services related to carrying out conceptual, basic, classification, detail and construction projects of any type of ship or marine devices. Likewise, is fully capacited for offering consultancy and technical assistance services to shipbuilders, operators and official bodies. A Marine CAD/CAM system, was designed and patented by SENER, used in the design of offshore structures. Ihobe is the public agency of environment, belonging to the Department of the Environment, Territorial Planning and Housing of the Basque Government. Its mission is to support the Basque Government in developing environmental policy and spreading the culture of environmental sustainability. The headquarters are located in Bilbao (Bizkaia) but our jurisdiction covers the whole of the Basque Country. It is an independent engineering firm specialized in Marine Renewable Energies (MRE): offshore wind (fixed and floating), tidal energy, wave energy, ocean thermal energy, etc … INNOSEA is a spin-off company from the Ecole Centrale de Nantes. It offers high level technical expertise and multidisciplinary engineering services for MRE systems and general production farms. Is an international research station, an exhibition space, and a meeting place for courses, seminars and conferences. It provides facilities for researchers from all over the world to conduct research. The field station also welcomes students for field courses. Activities we could help out with include data collection, collecting and analyzing samples, conduct equipment tests, write reports and more. As the world’s biggest electricity generator, the EDF Group covers every sector of expertise, from generation to trading and transmission grids. EDF builds on the expertise of its people, its R&D and engineering skills, its experience as a leading industry operator and the attentive support of its customers to deliver competitive solutions that successfully reconcile economic growth with climate protection. 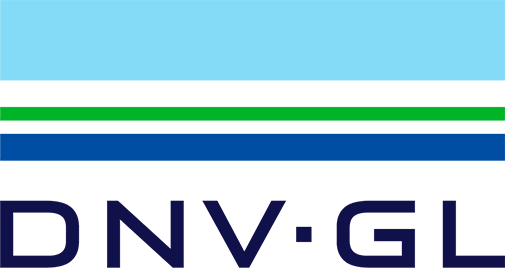 Principle Power is an innovative technology and services provider for the offshore deep water wind energy market. PPI’s proven technology, the WindFloat – a floating wind turbine foundation – enables a change in paradigm for the industry in terms of reduced costs and risks for the installation and operations of offshore wind turbines taking into account design and operation. SINTEF Energy Research delivers research-based systems and services, both in Norway and worldwide. It is part of the SINTEF Group, which is one of Europe’s largest independent research centres. SINTEF is an independent and non-commercial organisation. In close collaboration with NTNU, it has access to more than 12,000 m2 of advanced research facilities including the new SINTEF Energy Lab located in Trondheim. Bureau Veritas is a global leader in Testing, Inspection and Certification (TIC), delivering high quality services to help clients meet the growing challenges of quality, safety, environmental protection and social responsibility. It offers innovative solutions that go beyond simple compliance with regulations and standards, reducing risk, improving performance and promoting sustainable development. 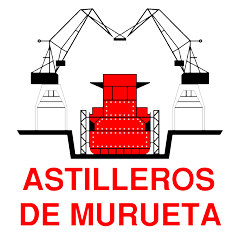 MURUETA SHIPYARD has two fully operational production facilities, the original Murueta shipyard in the River of Gernika, and the more recent Erandio shipyard in the River of Bilbao. Besides, the R&D&i management system guarantees that the Astilleros de Murueta is always on the cutting edge in technology and at the forefront of the development of innovative projects in European ship and marine devices design. SAITEC is one of the most prestigious engineering firms in Spain at present. It carries out its activities from a professional and independent standpoint, with a strong commitment to innovation, sustainable development and respect for the environment. It provides a wide range of top quality engineering services, from a comprehensive multidisciplinary perspective, having participated in the most relevant projects undertaken in Spain. 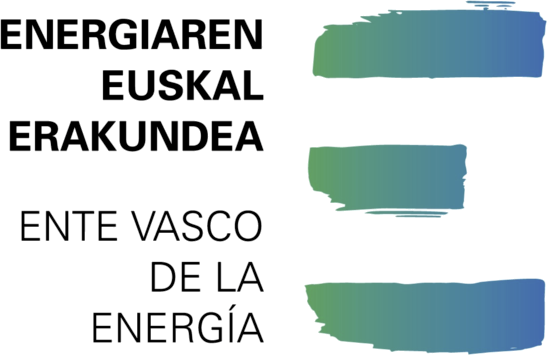 The Basque Government first created its own energy agency, the Ente Vasco de la Energía (or EVE) to lay the foundations for an energy policy that has been grounded, to different degrees at different stages, on energy efficiency, diversification of energy sources and promotion of renewables. Since then Ente Vasco de la Energía has been in charge of developing projects and initiatives in line with government policies. 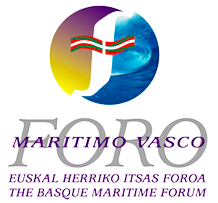 The Basque Maritime Forum was established as a non-profit-making organisation, which includes companies, associations, banks, research centres and universities. It was officially recognised as a Priority Cluster by the Basque Government in 1999. The BMF’s mission is to represent, defend, consolidate, promote and improve the competitiveness of the companies in the Basque maritime sector by means services it offers. Is sited in one of the areas of highest energy potential on the Basque coast (21 kW/m), very well communicated and with no impact on surrounding beaches or environmentally protected areas. 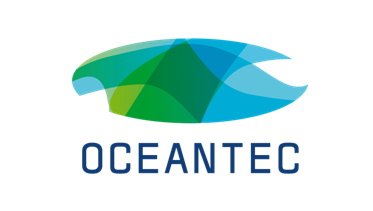 Provides manufacturers of ocean energy devices with the opportunity to install their equipment in open sea conditions for demonstration and operational (power generation) purposes or for testing. Is a non-profit organization at the service of the company and the general interests of Gipuzkoa. Independent, representative of all companies in Gipuzkoa. Our interest is the success of the company and the economic development of Gipuzkoa. It responds to the needs of the companies with an offer of integral solutions designed to measure. 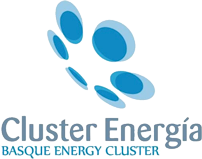 The Basque Energy Cluster is made up of the leading companies in the energy sector located in the Basque Country (energy operators, component and equipment manufacturers), agents of the Basque Science, Technology and Innovation Network and public administration bodies involved in the energy field to foster the competitiveness of the industrial sector. It is currently made up of over one hundred companies. The structure roots their advantages in its design that allows the manufacturing in conventional shipyards, the assembly of the wind turbine generation in ports and the towing and installation with conventional tugboats and Anchor Handling Vessels. NAUTILUS can support 5 MW wind turbines with the objective to scale up to 10MW, being an opportunity for its industrial shareholders to access a new global emerging market. Is the world leader in the supply of chains and mooring systems for the offshore industry.Today, Vicinay Marine has more than 600 people working in the marine and offshore mooring business. Its world-wide representation and product quality are recognised by the most well known companies in the industry, exporting to more than 30 countries. Boasting a track record that spans over 170 years,today Iberdrola is a multinational group leading the energy sector: the company produces and supplies electricity to some 100 million people in the countries in which it operates. Furthermore,the company has become the leader in clean energy Iberdrola is the first renewable producer amongst European utilities and the cleanest power company in the USA, with almost zero emissions. Siemens Gamesa is a global technological leader in the wind industry, with a footprint in 55 countries and more than 35,800 MW installed. Its comprehensive response includes also the wind turbine’s operation and maintenance services that manages for more than 22 GW. The company has production centres in the main wind markets: Spain and China. Is a company specialising in power and control electronics (inverters, frequency converters, controllers and protections), generators, motors and pumps, electrical engineering and automation projects, electrical panels and medium voltage cells, in addition to biomass and solar thermal plant engineering. The company completes its offer with operation & maintenance services, and installation services. 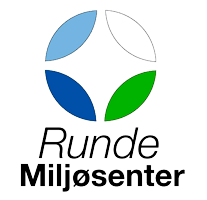 The National Renewable Energy Centre is incorporated as a non-profit foundation, which is called “CENER-CIEMAT Foundation”. All its trustees are public institutions, such as the Ministry of Economic Affairs and Competitiveness, Ciemat, Ministry of Industry, Energy and Tourism and the Government of Navarre aiming to support renewable iniciatives throughout Spain. Navantia, a Spanish public company that belongs to the SEPI (a state-owned enterprise subordinate to the Spanish Ministry of Economy and Treasury). Navantia offers integral solutions to its clients, as it has the capacity required to assume responsibility over any naval program in the world, delivering fully operational vessels, and the required support throughout the service life of the product. The Eolfi group specialises in creating electricity from renewable energy sources, like photovoltaic solar power or wind turbines, without the use of fossil fuels. This company aims to work with communities, manufacturers, and investors. Eolfi covers all stages of the value chain: project development, financing, construction and operation. 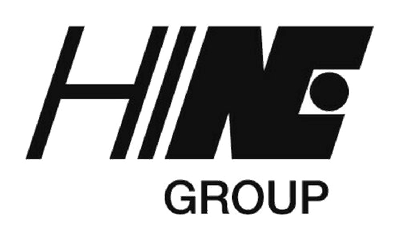 Hine Renovables develops existing products and designs new applications in response to ever more demanding requirements. Hine Renovables leads the market in Spain and is a major components and hydraulic systems manufacturers in this sector. Customer satisfaction pushes the organization to continue its research to be able to offer new solutions. Provides classification, technical assurance, software and independent expert advisory services to the maritime, oil & gas and energy industries. It also provides certification services to customers across a wide range of industries. Combining leading technical and operational expertise, risk methodology and in-depth industry knowledge, we empower our customers’ decisions and actions with trust and confidence. Created in 2008 to develop an innovative solution for generating electricity from ocean waves within the renewable energy industry, to reduce wave electricity production costs to sustainable levels through technology development, operational excellence and scalability to ultimately compete with conventional generation and to provide an integrated, portfolio-based approach to project economics from site selection and project development. The APPA Marine Section is composed of about twenty companies interested in harnessing the energy resources of our seas. It works to lay the foundations for the development of this technology in Spain. The Section coordinates the efforts for this renewable technology to obtain the support of the different Administrations according to the costs of generation and a specific installed power objectives for the year 2020. Over 20 years of experience developing comprehensive customized solutions for wind turbine manufacturers. The main products are: Complete pitch-control: Hydraulic units, manifolds and cylinders, piston accumulators, rotary fittings, hydraulic distributors, emergency brakes, rotor brakes, electronic analogue and digital systems for pitch control, test benches for assembling equipment before leaving for the field. Is the UK’s flagship technology innovation and research centre for offshore wind, wave and tidal energy, combining world-class research, development, demonstration and testing facilities with leadership, industrial reach and engineering expertise to accelerate the design, deployment and commercialization of renewable energy technology innovation as any leader company needs.